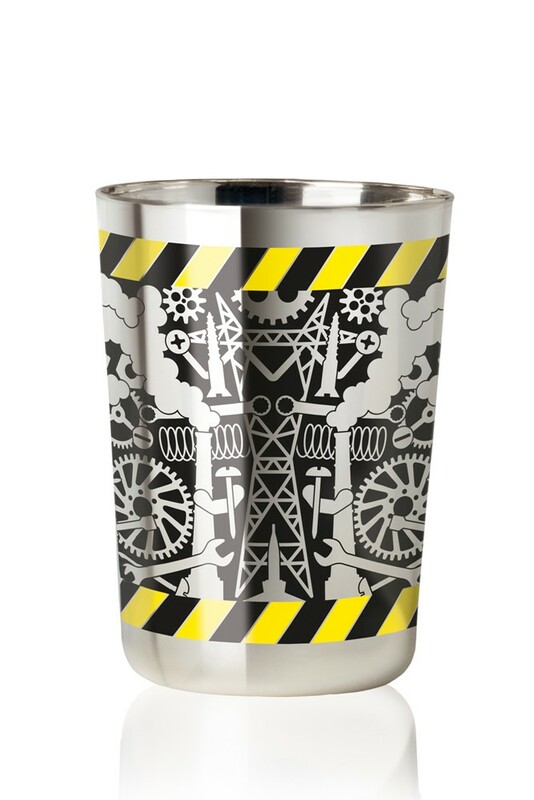 This gin and tonic glass has been designed to celebrate Ritzenhoff's 25th Anniversary and is a great design to add something different to your glassware. The mirrored chrome of the Gin Glasses look slick and highlights the designs ranging from geometric to playful. 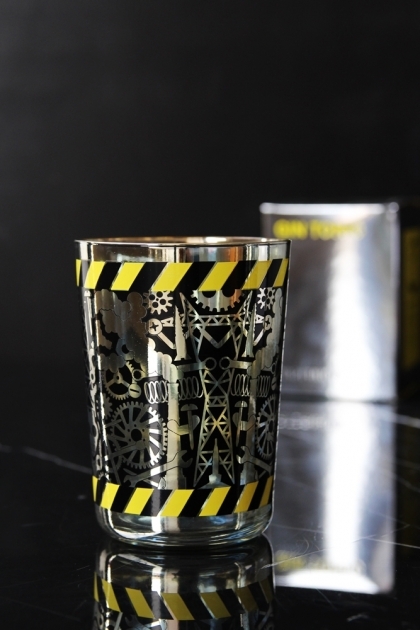 The black and yellow colour scheme creates a direct association with gin’s constant companion, tonic water. Each glass in this beautiful range makes the perfect gift to any disconcerting design lover, an admirer of beautiful things or quaffer of a beverage or two! This collection is quite simply the modern designer collectables of our time. We have cherry-picked a selection of our favourite designs, including this one by Studio Job. After completing their studies at the Design Academy in Eindhoven, the Dutch-Belgian duo Nynke Tynagel and Job Smeets established the Studio Job. They became known especially for their monumental designs of furniture or interior objects, produced either as a unique copy or a limited edition. Each of their works is to be seen as an artistic synthesis, merging technology, science and décor into one singular object. Known to us here for their famous Wallpaper designs which has long been a constant best seller at RSG.